My son and I faced a problem this fall when trying to make sure we could securely store an ATV in a barn on our hunting lease. A big chain and lock would be fine, but an Ottolock might be even better. Made from a durable plastic with multiple layers of steel and Kevlar bands, the Ottolock works like an indestructable ratchet strap, but there’s no ratchet — just a lock instead. 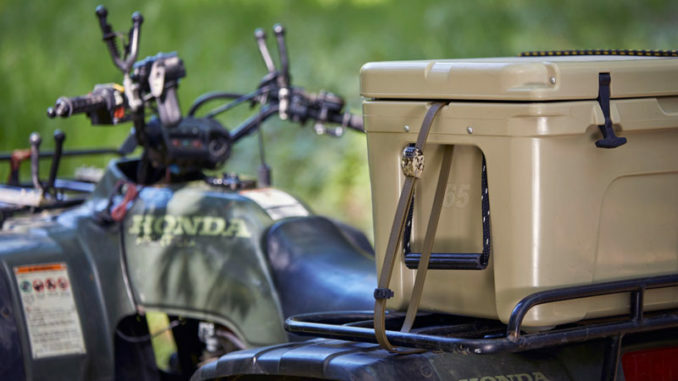 A three-dial combination lock holds the strap in place when it’s cinched down to secure something; in our case, part of the ATV frame to a beam in the barn. 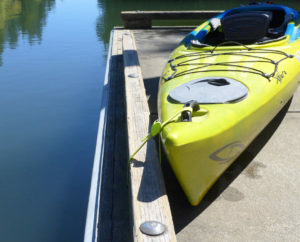 Other uses include locking up bicycles, canoes and kayaks, and even locking boxes down onto the front or back rack of an ATV. We’re already looking at it as a tool to secure a canoe while shuttling vehicles around after a float trip for ducks. Ottolocks come in three sizes: 18, 30 and 60 inches and a handful of colors — including camouflage — with a price range from $60 to $85.